The U.S. push for nukes in space continues. What is now Idaho National Laboratory has a long history involving the use of nuclear power in space, including plutonium systems. This has been going on despite accidents involving the use of nuclear power overhead. Knoxville News Sentinel reported in late 2015 that Oak Ridge National Laboratory (ORNL) in Tennessee has achieved production of 50 grams of plutonium-238. That's roughly the mass of a golf ball, but it's considered a milestone in re-establishing a U.S. stockpile of Pu-238 for use as a power source on deep-space missions. ORNL has been developing the capability over the past couple of years with funding that NASA provided via the Department of Energy's Office of Nuclear Energy. 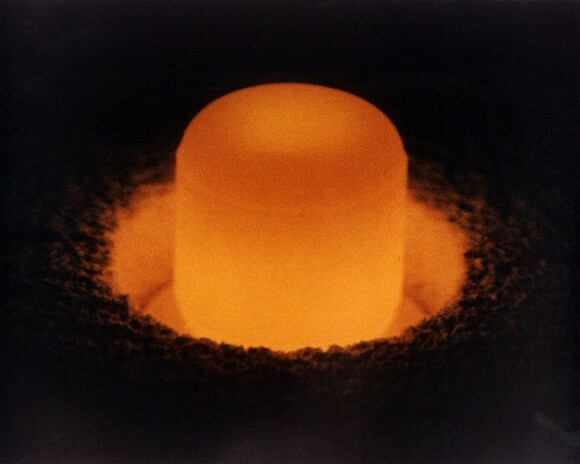 Pu-238, a different isotope from the plutonium-239 used in nuclear weapons, is used as fuel in space power systems known as radioisotope thermoelectric generators or RTGs. The radioactive material produces heat as it decays, and that heat is converted to electricity for vital tasks on spacecraft. ORNL said the infrastructure is now in place to provide a steady and growing supply of plutonium-238 for future space missions. According to NASA, the next space mission with plans for using an RTG is the Mars 2020 Rover, which is tentatively scheduled for launch in July 2020. Not only are we concerned about a launch accident with deadly plutonium onboard - but the entire space nuclear production process at the Department of Energy string of labs around the country has a very bad track record. Before the 1997 launch of the Cassini space probe (with 72 pounds of plutonium-238) at Cape Canaveral it was reported that previously at the Los Alamos lab in New Mexico, where the plutonium generators for that mission were fabricated, there were 244 cases of worker contamination. The nuclear labs have a long history of contaminating local water systems with these highly-toxic substances as well.